I like to prepare some smoothie for breakfast. I noticed i had bananas, oranges, coconut cream powder etc. in the house so i put them all together in the blender. I looked at what food item to add that will assist the body to get the nutrition it needs – so i took some spinach from the fridge. The spinach has a lot of nutrition and it tastes neutral so i put a little bit in, I put 1 banana but added another one because i needed the smoothie to last the whole day so that will increase the amount of smoothie i will get. I saw a small orange in the fruit basket, so after removing the peel i looked if there were seeds that can ruin the blender, i saw none so i put it in. 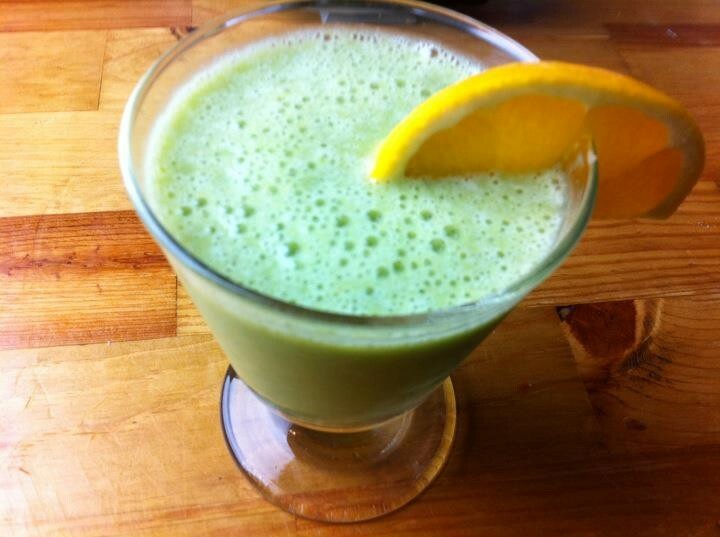 It’s not so sour, so it can blend with the different tastes of the rest of the fruits. I had coconut cream powder so i used it. The fruits only had little water so i added water and ice. Then i blended all the ingredients in a high speed blender. Sounds delicious. 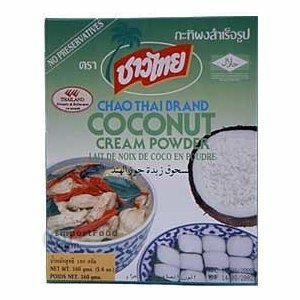 I have not yet found the coconut cream powder here in Sweden. Will have to see if there is a Thai shop somewhere. Thanks June!